Alaska easily led the country in commercial fisheries landings again in 2016, according to an annual report released Wednesday by the National Oceanic and Atmospheric Administration. By volume, the state landed 5.6 billion pounds of seafood last year, valued at $1.6 billion. Volume was down 7 percent compared to 2015, and the value of commercial fisheries landings was down 12 percent. “A lot of that can be attributed to a decrease in pink salmon landings that occurred between 2015 and 2016, which from what I understand is not completely unexpected because there’s a biennial cycle to that fishery,” said NOAA statistician Alan Lowther in a conference call on Wednesday. Declines in snow crab landings in Alaska were also a factor. Alaska pink salmon returns were so poor in 2016 that the fisheries earned a federal disaster declaration. Alaska was responsible for 58 percent of the nation's seafood landings in 2016 by volume, coming in at 29 percent of the national total in terms of value. Dutch Harbor's port led the country for the 20th consecutive year in the volume of commercial seafood caught, at 770 million pounds. The state accounted for nearly all the Pacific salmon landings in the country in 2016, but volume declined nearly 48 percent from 2015. 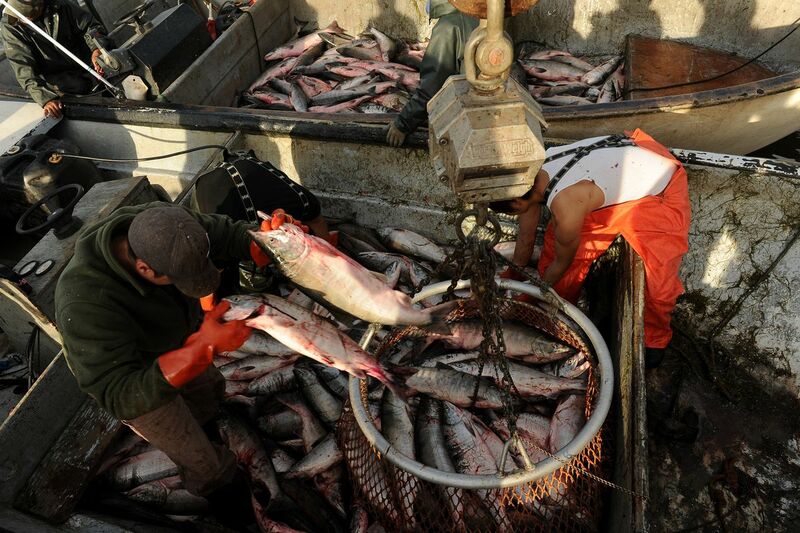 The value of Pacific salmon caught in Alaska also dropped nearly 8 percent, according to the NOAA report. Across the country in 2016, commercial fishermen caught 9.6 billion pounds of seafood valued at $5.3 billion, NOAA said. That was a small decrease from the amount of seafood caught in 2015, but the value was up slightly.